Herbal tea is found in different types and varieties that provide a refreshing power to the consumer. It is believed to be very effective in maintaining good health system. Herbal tea is extracted form of herbal leaves, fresh/dried flowers, and roots/seeds. Herbal teas are also referred as tisane or infusions. Boiling water is poured on the herbs for some time to get the blend of the natural ingredients present in the leaves for taste. Japan. Following the traditions and ancient practices, herbal teas are prepared with right mix of herbs, plants, roots, seeds and flowers of herbal plants. Teas have vital elements like vitamins, antioxidants, and minerals that help in stimulating the body and system. There are different types of herbal tea that relieves you from different health problems and complications. Cardamom Tea is safe on health and reduces digestion related problems like gas trouble, stomach cramps and flatulence. It helps in stimulation and relieves the pain caused due to gas formed in the intestines. 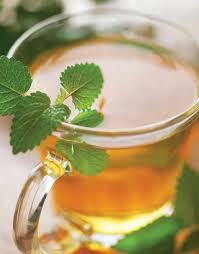 Lemon Balm Tea gives the relaxing point for removing your stress and acts as a skin cleanser. It helps to settle down and calm your mind. It is a unique type of herbal tea that gives many health benefits. Rosemary Tea is rich in antiseptic properties and helps in great way to reduce headaches. This tea has even more better taste if a one or two spoons of honey is mixed with it. Raspberry Tea is helpful in eliminating toxins present in the body that are harmful in nature. Sassafras tea is pure herbal form of tea that is very diluent and purifies the blood. This tea also helps in reducing the symptoms of bronchitis. Rooibas Tea has excessive mix of antioxidants and minerals when compared to white tea and green teas. They prevent cell damage that occurs due the exposure of sunlight. It can also help to prevent from senility. Juniper Tea is the best remedial action for urinary tract infection. It helps to kill the bacteria and prevents the breakdown of uric acid crystals that build up in the bladder. The detoxifying nature of this herbal tea reduces toxins, extra fluids and fat accumulated in the body. Chamomile tea is specifically used for reducing and overcome the menstrual cramps. This tea increases the levels of glycine that relieves cramps in the muscle and also relaxes the body. Blueberry Leaf Tea is helpful in purifying the blood and as a tonic. It also helps in inflammation of the kidneys. Intake of one to two cups daily is very good for fine health tuning. Hibiscus Tea is the herbal tea that helps in lowering your blood pressure. It improves the flow of blood by widening the blood vessels. This herbal tea has rich anthocyanin that helps to fight free radicals in the body. Herbal teas are in plenty number, each have their unique identity and beneficial factors. Herbal Slim Tea India is one of the most popular tea for delicious taste and healthy life. Herbal Tea is prepared with right mix of herbs, plants, roots, seeds and flowers of herbal plants which stimulate the body and the system.